Conjure Cognac uses a blend of VS, VSOP and XO brandies made from the ugni blanc grape from several Cognac regions, including Grande Champagne, Petite Champagne and Borderie. The project combines the talents of Chris “Ludacris” Bridges and third generation master blender Philippe B. Tiffon. The color is a rich cherry wood with an aroma that melds oak, almonds and a hint of peach skins. The flavor is a layered mix of tobacco, spice and toffee in a smooth package. The flavor lingers nicely. Highland Park started making whisky in 1798. The distillery is located in Kirkwall in the Orkney Islands, the most northern distillery in Scotland. That by itself would make it of interest to Scotch enthusiasts, but the distillery is noteworthy for other things. Highland Park has received many awards for its single malts and it is also a key ingredient in the blend of The Famous Grouse. 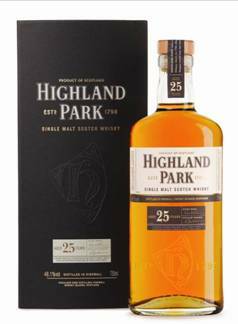 Highland Park 25 Year Old Single Malt is a slightly amber gold color and has an oak and mocha nose. The 96 proof whisky is a wonderful combination of honey, spice, smoke and hazelnut. Complex, sweet and smooth, this spirit has a long finish with bits of peat, heather and vanilla that emerge. Deschutes Brewery is a great Oregon brewery, located along the Deschutes River in Bend, Ore. They started making beer in 1988 in a small brewpub and have expanded with their reputation. In addition to a production brewery, they have also added a brewpub in Portland that is worth a stop. Deschutes 2010 The Dissident spent two years aging. It is the only wild yeast beer the brewery makes, featuring Brettanomyces and Lactobacillus. Whole Washington cherries were added to the beer. Deschutes has created a Flanders-style Oud Bruin that weighs in at 10.5 percent alcohol by volume. The beer pours a reddish golden color with an off white head. There is a slightly tart nose to the beer. The Dissident has a funky, woody base to the falvor. The cherry notes are in the background, but clearly present. Overall, the mouthfeel on this beer is a little lighter than you would expect, but it is a satisfying sour. Firestone Walker Brewing started making beer in California in 1996. It is truly one of America's greats having been been selected as the best mid-sized brewery at the 2003 and 2007 Great American Beer Festivals, and the top mid-sized brewery at the 2004, 2006 and 2010 World Beer Cup competitions. Firestone Walker created the Anniversary Series to celebrate the brewery's 10th birthday using a blend of barrel-aged beers, releasing the first beer in the series in 2006. Firestone Walker Brewmaster Matt Brynildson and a panel of winemakers and industry experts tasted a selection of barrel aged components to build Firestone 14 Anniversary Ale. The final blend in Firestone 14 is Double Double Barrel Ale (31 percent), Sticky Monkey English Barley Wine (29 percent), Parabola Russian Imperial Oatmeal Stout (27 percent), Velvet Merkin Oatmeal Stout (7 percent), Good Foot American Barley Wine (3 percent) and Black Xantus Coffee Infused Imperial Stout (3 percent). The last four beers were aged in ex-Bourbon barrels, while the Sticky Monkey was aged in former Bourbon and Brandy barrels. 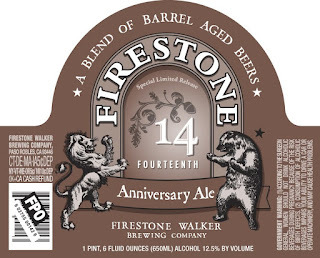 Firestone 14 Anniversary Ale is a complex brew with a true depth of flavors. It pours a dark brown color with a tan head. The common thread in this brew is the Bourbon barrel aging, which shows in both the aroma and the flavor. Right off the bat the mouthfeel presents an enveloping texture. The aroma features vanilla, a hint of coffee and some dark skin fruits. The flavor has a cocoa base, sun dried raisins, vanilla, molasses and oak. This is one of the richest brews I've tasted in years. El Zarco has just started to be imported into the U.S. by New York-based Proximo. El Zarco Tequila has a rich agave nose for a silver tequila. The 80 proof Tequila is pretty smooth, with an aroma that features earthiness, agave and grass notes. There is just a hint of smoke in the finish. William Laird emigrated to what is now New Jersey from Scotland in 1698. He soon started to distill a brandy using the most abundant fruit available in the area, apples. Later, Robert Laird supplied George Washington's troops with applejack. Applejack was a commodity in rural areas during the first 100 years of this country. It was made for home consumption and could also be sold and traded. 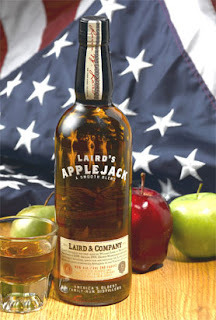 Laird's Applejack is made with 35 percent apple brandy and 65 percent grain neutral spirit. It is the color of Bourbon and has a slightly oaky nose. The 80 proof spirit has a rum like base, with a touch a toffee in the midst of a long finish. There is a good peppery note that also comes through. Joseph Banks Rums Corp. launched Banks 5 Island Rum in August 2010. Named for English naturalist Sir Joseph Banks, Banks 5 Island Rum combines aged and unaged, pot and column-distilled rums including mature Trinidadian rum, aromatic Jamaican rum, grassy Guyanese rum, clean Barbados rum and Indonesian Batavia arrack. Banks 5 Island Rum is a clear 86 proof rum with a tropical nose. The rum has more depth than most white rums you will encounter. There is a unique spice quality to the flavor base -- ginger perhaps -- and a just a fleating sense of smoke in the finish. Terrapin Beer has been making some interesting brews since it was founded in 2002. The latest seasonal release is an extension of this track record, although I have to say I'm kind of glad I tasted it on draught before getting a look at the label design! Terrapin Moo-Hoo Chocolate Milk Stout is a 6 percent alcohol by volume milk stout that uses cocoa nibs and shells from Olive and Sinclair Chocolate Co. and lactose in a recipe that includes roasted malt and flaked oats. It pours a dark brown color with a moderate tan head. There is an immediate milk chocolate nose that is quite inviting. The flavor will remind you a bit of a sweet glass of chocolate milk, but the 30 IBU does help balance things just a bit. If you like chocolate stouts this will be among your favorites. Höpler Winery is in Breitenbrunn, Austria, southeast of Vienna on Lake Neusiedl. Half of the wines it makes are whites, with Gruner Veltliner -- the national grape of Austria -- being the most unique. Gruner Veltliner is a food friendly wine that is usually best consumed young. Traditionally at home in Austria and the Czech Republic, a number of American wineries have begun planting the grape. Höpler Gruner Veltliner 2008 is a white that has a slight green tinge to its color. The aroma is a pleasant light pear. The flavor tells the story of a rocky soil and the Austrian growing season. The wine has a residual sugar of 1.5 percent and 5.0 grams of acidity, so it is a crisp refreshing drink. 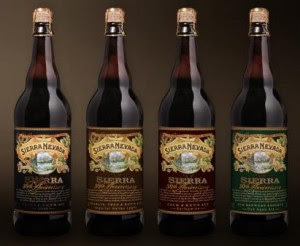 Sierra Nevada Brewing has been celebrating its 30th anniversary this year by releasing a series of special brews in 750 milliliter cork finished bottles. The first three brews were collaborator beers made with some craft brewing legends. The final beer is a collaboration between three of Sierra Nevada's legendary brews. You can check out my reviews of the first three beers in the series via these links: Sierra Nevada 30th Anniversary Stout, Sierra Nevada 30th Anniversary Bock, and Sierra Nevada 30th Anniversary Ken & Jack's Ale. If you ask most craft beer drinkers to name the 10 most important craft brewers during the last 30 years, Sierra Nevada would come up on virtually all of those lists. And if you asked the same group to name their favorite Sierra Nevada beers, Bigfoot Barley Wine, Celebration Ale and Sierra Nevada Pale Ale would be at the top of those lists. That's why the fourth and final installment of this series has been so anticipated. The brewery combined oak-aged Bigfoot, Celebration Ale and Pale Ale, then dry hopped the meritage. Sierra Nevada 30th Anniversary Grand Cru Brewers Reserve Oak-Aged Ale pours a reddish brass color and has a thick off white head of foam. The beer has some very floral and pine hop aromas. The flavor produces some signature citrus hop notes up front that come under the influence of the oak. The beer is 9.2 percent alcohol by volume and you can taste the kick a bit. Overall, the beer is balanced in a Sierra Nevada sense -- the hops are king, but malt notes sweep forward at key points. This is a proper cap on a series that is worthy of 30 years of fine beer making at Sierra Nevada. 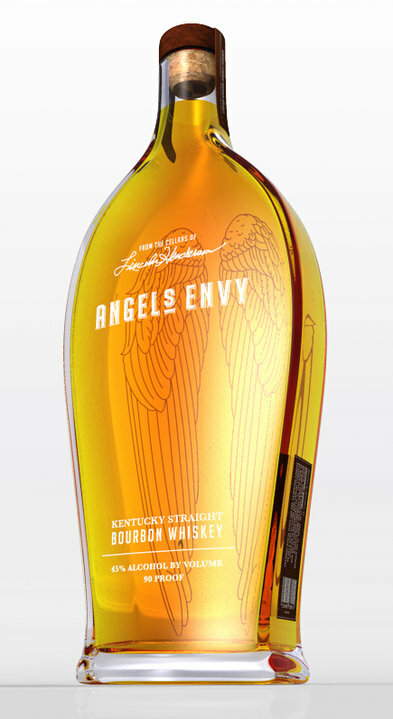 Angel's Envy Bourbon is the work of Lincoln Henderson, a well respected master distiller, and his son Wes. They have formed a new distillery, the Louisville Distilling Co. Henderson spent several decades at Brown-Forman, helping to launch the Woodford Reserve label. Angel's Envy Kentucky Straight Bourbon 10/10 Expression is a 86.6 proof whiskey, which blends 40 percent Port-barrel finished spirit. Angel's Share has a sweet nose with hints of toffee. The whiskey has a bright amber golden color. The flavor has quite a bit of depth. There is a lively fruity base that brings the drink forward. The wood is clearly present in Angel's Envy and the Port finishing adds an appealing note. The Free State Brewing Co. opened in Lawrence in 1989 as the first legal brewery in Kansas in more than 100 years. The 14-barrel brewhouse is located in a renovated trolley station. Free State Copperhead Pale Ale is a great looking slightly amber gold brew with a lacing thick head. The ale has plenty of hop character in its attractive aroma. The flavor is a citrus bomb. Very well built brew that will be a hit with any fan of true British pale ales. Kind of hard to believe it comes from the middle of the USA. Hayman & Hill produces its Monterey County Metritage using 47 percent cabernet sauvignon, 24 percent merlot, 14 percent cabernet franc, 13 percent malbec and 2 percent petit verdot. David Hayman and Dennis Hill source grapes from around California to make a variety of quality wines at value prices. Hayman & Hill 2008 Meritage is a deep red color with a slightly sweet nose. The flavor goes in a different direction. There is good fruit depth, a persistent spiciness and a hint of smoke. Even with plenty of flavor, the wine is not heavy and can match up well with a variety of foods. Boulevard Brewing has been a craft brewing beacon in Kansas City since 1989. The operation is one of the largest Midwest craft brewers, shipping beer to 20 states. Boulevard does not have a brewpub, but does offer free tours as long as you make a reservation. Check out www.boulevard.com. 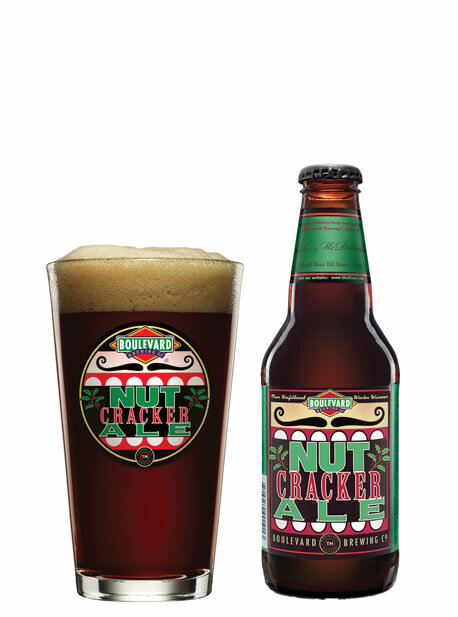 Boulevard Nutcracker Ale is a 5.8 percent alcohol by volume holiday brew. The beer is a dark copper color with a thick off white head. There is plenty of malt in this beer, which takes control even with 38 IBU offered up by spicy Chinook hops. This is a drinkable and rewarding holiday seasonal. Joel Gott named the 815 wine for the August 15, 2003, birthday of his daughter, Lucy. Gott sources grapes from around California for this wine. Joel Gott 2008 815 California Cabernet Sauvignon pours a bright garnet red. The wine has a fresh fruit nose, with a hint of cedar. The flavor has a good balance of flavors, with dark cherry, cigar and oak notes each taking a turn. Mild tannins are present in a smooth finish. Shooting Creek Farm Brewery takes its name from a creek that runs down the eastern flank of the Blue Ridge Mountains. In 2004, Brett Nichols and Ray Jones began exploring the idea of starting a farm brewery in Floyd County, Virginia. Inspired by the traditional beer making methods and recipes brought to America by early European settlers, they honed their skills and fomulas, making small batches of Colonial farmhouse ales and wild-fermented farmhouse ales. 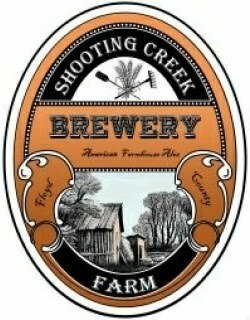 True to its name, Shooting Creek Farm Brewery grows many of the ingredients used in its beers, including hops, flint corn, pumpkins, honey, habanero peppers and herbs. They also use organic ingredients grown near the brewery using ecologically responsible practices. Shooting Creek Farm House Stout pours a jet black color with an exploding thick tan head. The aroma has a nice roasted grain lead with some mocha notes. The flavor is a solid stout structure, offering some creamy touches, perhaps a little maple sweetness, with a hint of the oatmeal used in the grain bill. 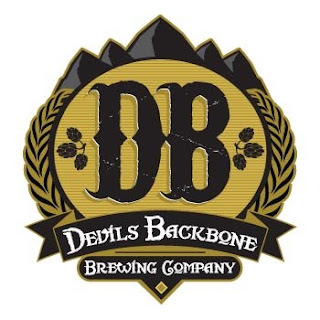 Devils Backbone Brewing is located in Nelson County, Va., along the Blue Ridge Mountains. Founded in 2008, the brewery was selected as Small Brewpub Champion Brewery at the 2010 World Beer Cup. A pretty impressive accomplishment for a brewpub in operation for less than two years. Devils Backbone Danzig Baltic Porter won the gold medal at the 2010 World Beer Cup and a silver medal at the 2009 Great American Beer Festival. The beer is a dark brown color with a thin tan head. The aroma is very rich, with dark fruits, roasted grains and some molasses. The flavor has dark chocolate, a slight touch of vanilla, balancing hop bitterness and a great long lasting finish. Alaskan Brewing traces its roots back to the early days of the U.S. craft brewing movement. The brewery was founded in 1986, when most American beer drinkers did not have easy access to fresh locally brewed beer. The brewery quickly established a reputation for brewing flavorful beers. Its flagship brew, Alaskan Smoked Porter has won more medals at the Great American Beer Festival than any other beer. 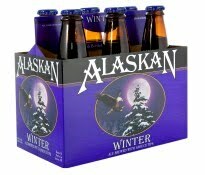 Alaskan Winter Ale is an English olde ale that pours the color of a new penny with a wispy white head. The beer is 6.4 percent alcohol by volume and has a hoppy aroma with a twist, more than a ton of Sitka spruce tips from Gustavus, Alaska, are added to the brew. If you have been exposed to some other Alaskan brews you might expect their winter seasonal to be thick and dark. This beer does the job more with finesse than brawn. A good sweet malt base is clearly the backbone of this ale, with the hops showing in mid-drink. The spruce tips arrive on your tongue at the end of the flavor profile and linger. Liberty School is a family-owned Central Coast winery in Paso Robles, Calif. The Hope family planted wine grapes here in 1978 and in the early 1980’s started selling cabernet sauvignon grapes to Caymus Vineyards for a second label, Liberty School. In 1996, the Hopes established Treana Winery and acquired the Liberty School label. Liberty School Cabernet Sauvignon is made from a blend of grapes from about a dozen vineyards. The wine matures in French and American oak, about 10 percent of it new, for about 12 months. Liberty School 2008 Cabernet Sauvignon is a dark purple color and has an attractive fruit forward aroma. The wine is a combination of dark cherry, oak, cocoa and hints of smoke. A great value and a nice match with hearty meals. Foothills Brewing was established in Winston-Salem, N.C., in 2004. The brewery makes six year-round brews, 11 seasonal beers and a number of highly sought after special releases. 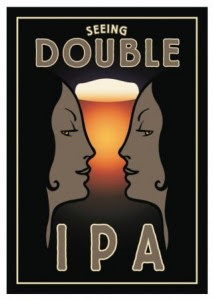 Foothills Seeing Double IPA is a 9.5 percent alcohol by volume brew that was Foothills first high gravity effort. The beer pours a nice cloudy golden yellow with a firm medium sized head. Great citrus aroma. At 126 IBU, you get all of the hops you will want from this beer. There is also a good amount of malt present, too, lingering in the finish. Kahlúa is the world’s number one selling coffee liqueur. Kahlúa originated in Mexico in 1936 and is made with 100 percent Arabica coffee beans grown in the foothills of Veracruz and blended with a sugarcane spirit. In recent years, Kahlúa has launched special flavor offerings for the holiday season. Kahlúa Peppermint Mocha will be available for about three months, through the end of December. Kahlúa Peppermint Mocha is a 40 proof liqueur that pours a coffee brown color and has a peppermint nose. The flavor is a sweet combination of coffee, peppermint and a touch of chocolate in the finish. A nice holiday flavored drink perfect for the end of a meal. Grape Valley Wine Co. is located in Modesto, Calif., and is a trademark of the E. & J. Gallo Winery. Grape Valley markets four non-vintage varietals from California under The Naked Grape brand, a pinot grigio, chardonnay, pinot noir and cabernet sauvignon. The Naked Grape Pinot Grigio is a pale straw color and has a soft note of pear for an aroma. The winemaker used pinot grigio as the primary grape, blended with gewurztraminer, viognier and riesling. The flavor is light, with a decent level of acidity. Haarlem is a town outside of Amsterdam, Holland. 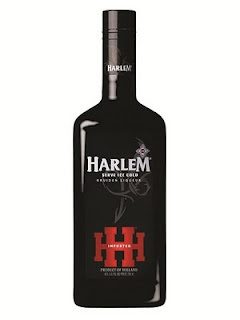 Harlem Kruiden Liqueur is a Dutch spirit named for the town, even if the name is anglicized. The ingredients in this liqueur are a secret combination of herbs and the makers urge you to serve it ice cold. So there is a shooter component to this drink, along with cocktail options. 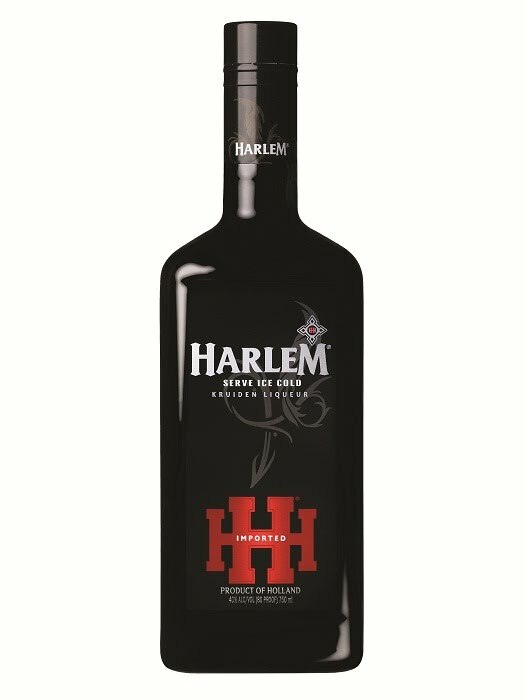 Harlem Kruiden Liqueur is 80 proof and pours a cola-like color. The nose is a slightly sweet medicinal mixture of aromas. The flavor is sweeter than you would expect when compared to other herbal liqueurs. The dominant note is orange peel, with a sweet edge and a finish that has a balancing bitterness. Citadelle Gin is distilled in France using pot stills that are normally used to make Cognac. The gin uses 19 different botanicals and comes in a standard and reserve vintage variety. 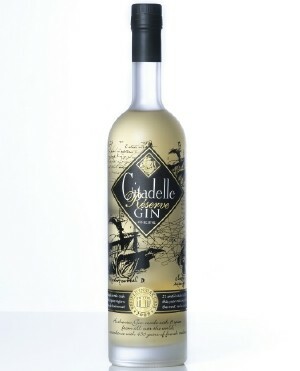 Citadelle 2010 Reserve Gin is an 88 proof spirit aged for several months in old oak casks. It has just a slight hint of color, but the aroma is a full on floral and spice assault. The botanicals really come through in the flavor of this gin. I don't pick up much wood, but the distillery says the flavor is mellowed a bit. 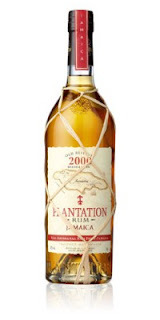 Plantation Rum is distilled in Barbados, Jamaica, Panama, Grenada, Trinidad, Guyana and Nicaragua and aged for a period of time, then shipped to France where the cellar master at Cognac Ferrand transfers the liquid to small French oak casks. Plantation Grande Reserve Rum is aged for five years in ex-Bourbon barrels in Barbados, then shipped to France. The 80 proof rum has has a sweet nose. The flavor is pretty complex for a 5-year-old rum. Nice oak and vanilla upfront, tropical notes and a faint nutty finish. Early response to the Pints for Prostates 2011 European Beer Trip has been extremely positive. BeerTrips.com, which has been providing unique beer travel experiences to European and North American destinations since 1998, has put together a special trip from Sept. 9-19, 2011, to the Czech Republic and Germany that will benefit the Pints for Prostates campaign. The nine night beer lover’s dream trip includes brewery tours, escorted pub crawls, guided city tours, special meals and more in Prague, Bamberg and Munich. The trip will include special tours of famous breweries along the way, such as Pilsner Urquell, home of the original pilsner beer, and the Andechs Monastery Brewery in Germany. The tour will arrive in Munich in time to enjoy Oktoberfest 2011. BeerTrips.com is offering this special Pints for Prostates group tour to Europe on a limited basis. A total of 14 slots will be sold for this tour at $2,895, plus air. This BeerTrips.com itinerary was included in The National Geographic Society's book, The 100 Best Worldwide Vacations to Enrich Your Life. Details on this trip can be found at www.BeerTrips.com. The total value of the trip for two is estimated at $7,500. The drawing will be held on July 31, 2011. The prize is non-transferable. No cash substitute will be offered. The winner and their guest are responsible for obtaining passports and all trip related costs not outlined above. You must be 21 years old to enter. Details on how to enter the raffle are available at www.PintsforProstates.org. Pierre Ferrand is located in the heart of Grande Champagne, considered the Premier Cru de Cognac. The chalky soil and climate make it the perfect location for growing grapes to make Cognac. The distillery makes a range of Cognacs, starting with Ambre up through the Collection Privee, a selection of aged brandies. 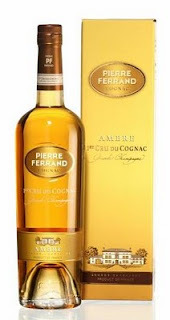 Pierre Ferrand Ambre Cognac is a slightly amber tinted golden color. It has a floral nose with a vanilla base. The base flavor has pear skin, apricots and solid oak around the edge. This is a nice Cognac to have as an digestif or for mixing in a cocktail. Olde Mecklenburg Brewery is a small craft brewery located to the south of Uptown Charlotte, N.C. The brewery makes classic German lagers, with an emphasis on freshness and the subtle balancing of malt and hops. The brewery always has two year round beers on draught -- a Bavaria-style lager and a Dusseldorf inspired alt -- in its beer hall-style tap room and is building a pretty respectable collection of seasonal brews. Olde Mecklenburg Bauern Bock is the latest edition to this seasonal collection. A "country bock" the beer is meant to fit in the space between Mecktoberfest and Yule Bock on the brewery's menu. The 7.5 percent alcohol by volume beer pours a rich mahogany color with a thick tan head. The beer has an attractive malt nose. Bauern Bock is rich with plenty of malt, but not too sweet. There is a slight roasted grain note to the background which helps balance the beer. A very nice seasonal for Fall weather. 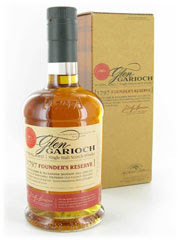 Glen Garioch is a Highland maker of single malt Scotch whisky. The distillery is located in the town of Oldmeldrum, which is 18 miles outside of Aberdeen. The distillery was founded by John Manson in 1797. Glen Garioch Founder's Reserve is a light golden color and offers an aroma that combines slightly sweet butterscotch and nutty tones. The flavor is oak forward, but as you linger over the drink there is some sharp ginger, vanilla and green apple that emerges. This Scotch finishes very dry. Steve Ledson is a fifth generation Sonoma farmer who founded Ledson Winery and Vineyards in 1993. Ledson Winery & Vineyards produces more than 70 wines annually. 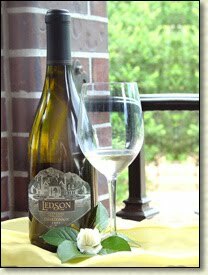 Ledson 2009 Carneros Chardonnay has a buttery nose that has a touch of mango and tropical aromas. The flavor is full of fruit. Nice demure citrus notes, more mango and peach. Great food wine. České Budějovice in Bohemia is the Czech Republic city that lays claim to the Budweiser trademark. Since 1895, Budweiser Budvar has been made in the city. 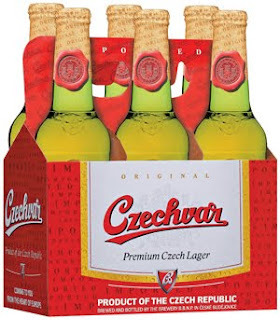 A long running legal battle means that in the United States the beer is labeled Czechvar. Czechvar is a great example of how Czech brewers use the Saaz hop. When combined with Moravian barley malt you quickly come to understand why the Czechs adamantly claim that the pilsener style is the best lager in the world. Czechvar pours a crystal clear golden color with a light hoppy nose. The flavor is more clean than crisp, but it is pleasant. A nice proportion of malt to hops. Nothing overpowering, but a great session beer for a sunny Fall afternoon.